Painting Trees make me happy! I love these painterly tree studies, and they make great cards! I love the loose and fluid look that these trees give off! I walk my dog every other day at a cemetery (it's not morbid at all, it's a beautiful place with lots of trees.) In fact, when I need inspiration for trees, I will go there for inspiration! 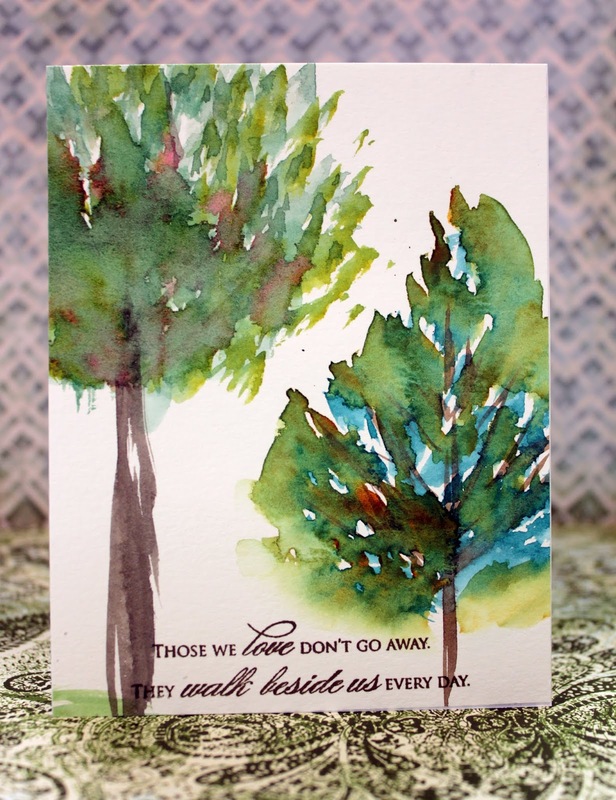 So my mind naturally goes to trees when I think about a sympathy card. I used Angela's Tree Clinic class to help me paint better trees. 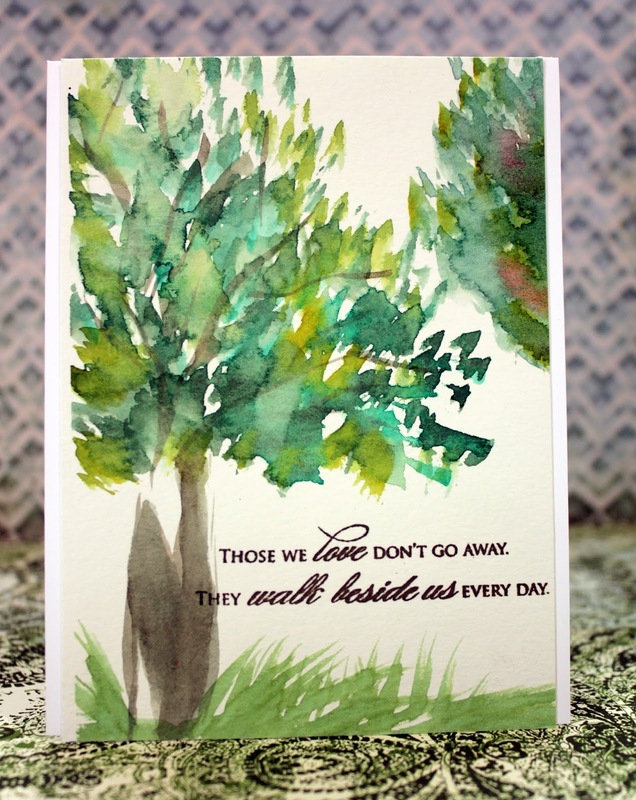 these are a fun study that I turned into a card!